One of the best USA bats gets a facelift. The Rawlings 5150 USA bat is a one piece metal alloy baseball bat with a loud ping, massive sweet spot, and a balanced feel from the minus 11 length to weight ratio. One of the most popular USA bats ever made, the Rawlings 5150 is built upon the premise of keeping it simple. Make an easy to swing bat by giving it good balance. Give the hitter a big barrel for better opportunity to hit the baseball on the sweet spot. Eliminate almost all vibration. Keep it affordable. Rawlings has figured out the formula for a great USA baseball bat. Get your 5150 Youth USA Bat today, right here at CheapBats.com! No Hassle Returns, Batisfaction Guaranteed! Pros: did a lot of research before purchase. Too many "dents in bats" from 2018 USA bats. My little ball player is 6 so not smashing home runs but the bat has done well. Talk to anyone, if this bat isn't too heavy for your kid it's the best bang for your buck. If he is a smaller kid I would suggest the threat. One of those on our team as well. Cons: drop -11 is lightest you can get bat. Took about 5 hitting sessions before my son adjusted to it from the teeball bat he was using. If you can get this bat before the season and put in some Tee time so they can get acclimated to it, I would. Pros: Good bat overall. Nothing over the top or crazy technology wise, but it does the job! My son is hitting the ball very well with the 2019 5150. Nice light weight. Pros: Good for a usa bat. The new usa standard is junk compared to usssa travel ball, but it is what it is. 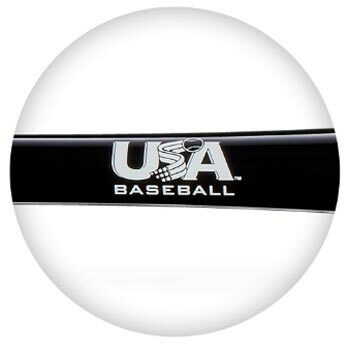 The funny thing about the usa bats is a simple, one piece aluminum bat performs just as well as the $300 bats. This is good for you, not so much the bat makers! Pros: Very good bat at a very good price. NO need for spending more money than this on a usa bat. Pros: Great bat delivered in a timely manner!!! Pros: Perfect bat. Not too heavy and not too light. I found the Rawlings Threat to be a little too light for the kids on my team. Hitting off the tee for a game of over the line my 8-9 year old boys were hitting the ball farther with the 5150 usa versus the Threat. 5150 has more mass behind the swing without a doubt. This is the bat your kid should use if they are strong enough to swing a -10 or -11 ounce length to weight ratio usa bat. Also I love the new graphics. 7 of 18 found this review helpful. Pros: Made my extremely talented 6 year old an even better hitter! Really great bat with a lot of power!